If you’ve ever wanted to see the world from a different perspective, it’s now easier than ever to make that happen. Aerial video and photography can add unique perspective to larger projects or stand alone as interesting short content. At 360 Filmworks, when we pack our bags for a production our drone is one of our favorite tools to include. Drone video is no longer limited to showing off buildings or landscapes, it can also make for dynamic shots of people or other moving objects. And, it doesn’t always have to be used to get an aerial perspective. The freedom to get stabilized shots of people and places at eye level can also add energy and range to any project. When flying, it’s critical to have the right tools and training to do so in a safe manner. 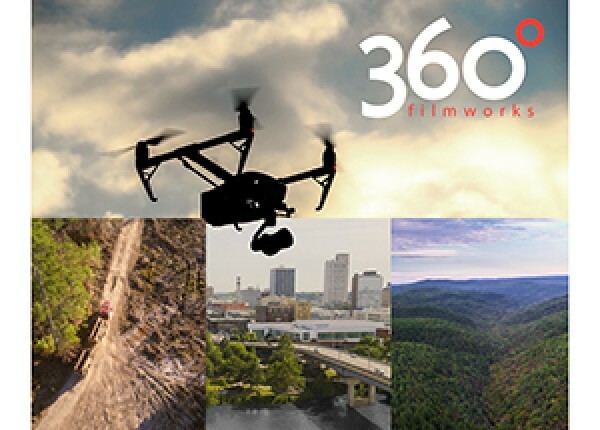 360 Filmworks has an FAA licensed drone pilot on our staff. It’s also important to note that not all drones are created equal. Some offer much better picture quality and resolution than others. 360 Filmworks owns the DJI Inspire 2, which can shoot 4K at 30 frames per second. › We’re letting folks know there’s more to check out at their local libraries.